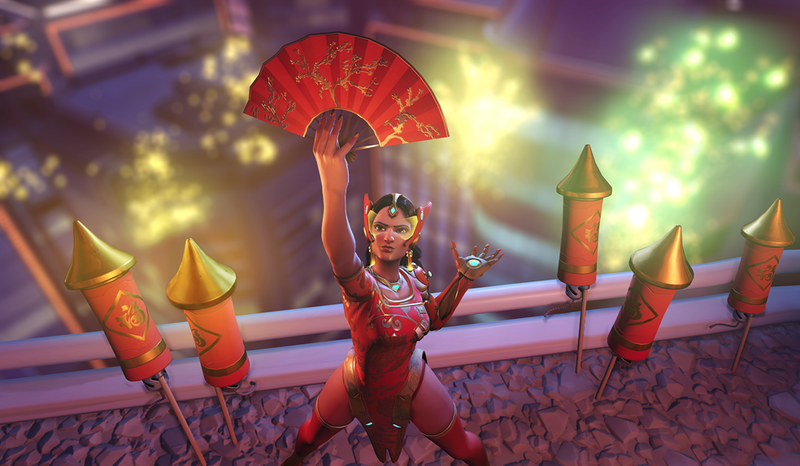 The much-anticipated rework for Overwatch’s Symmetra is on the game’s test server, and it’s already clear that Overwatch will look pretty different when it’s released in full. 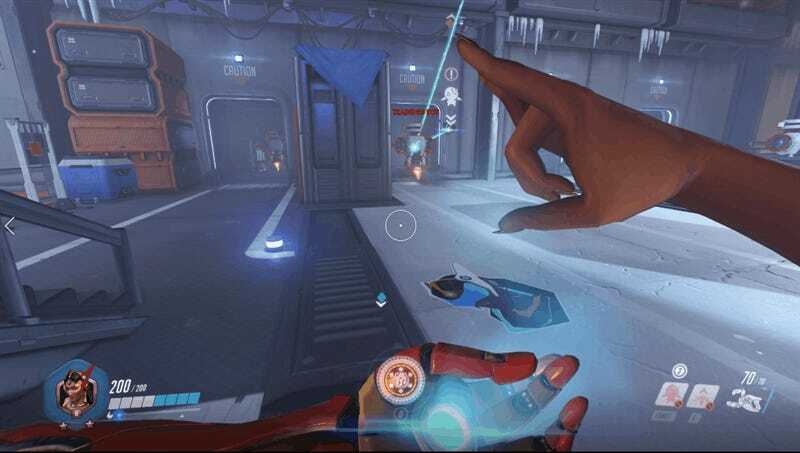 As one of the most exhaustive hero reworks yet, Symmetra’s new toolkit is significantly more tactical. And, finally, developer Blizzard reclassified Symmetra as a defense hero, not a support. Symmetra’s toolkit is subject to change since, right now, it’s in public testing. In its current state, Symmetra is immensely powerful, with some big vulnerabilities. The changes will make lots of wild, chaotic team strategies more viable, while giving Symmetra the firepower she needs to really defend teammates. Symmetra’s primary fire doesn’t lock onto targets anymore. Now, it more resembles Zarya’s primary fire: a straight, pointed beam that extends about 10 meters. It’s harder to aim, but it can do a lot of damage when positioned correctly. It will also certainly make one of the most frustrating aspects of playing against Symmetra less common: When you’re playing a squishy hero and Symmetra’s beam locks onto you for an extended period of time, you know there’s no escape. Previously, Symmetra’s alternate fire was an energy ball that could phase through all sorts of stuff. With the rework, it charges up a lot faster and explodes when it comes in contact with most barriers and heroes. Playing Symmetra on the test server, her new sentry turrets were the most exciting change for me. Prior to the rework, Symmetra could only set up turrets near her body. 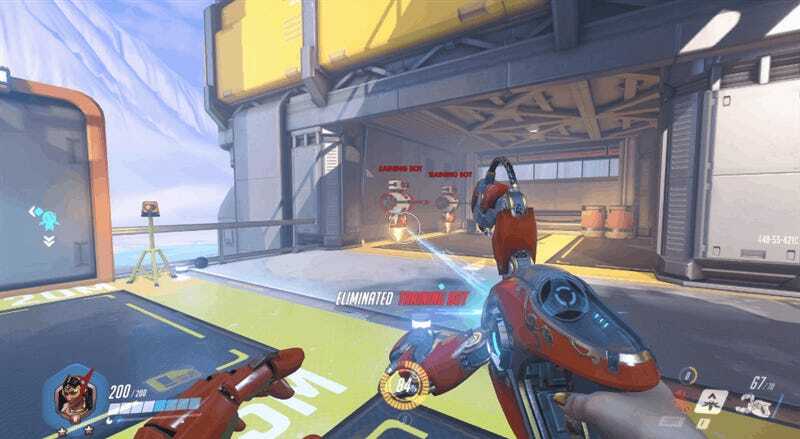 They’re projectiles now, which is great if you’re trying to take down a flying Pharah or position turrets in enemy territory without actually going there. They do a ton of damage now, too, so getting hit by one can be pretty damning, especially since they slow down targets more, as well. Thankfully, Symmetra can only deploy three at a time instead of six. This one’s really wild. Symmetra’s teleporter is now a main ability and not her ultimate. She can place it 25 meters from herself and creates the entrance in front of her. So it’s not just for teleporting players at the spawn point to somewhere else; she can teleport players from her position to 25 meters away. Every few seconds she can do this, since it’s on cooldown. The teleporter only lasts ten seconds, though. It’s also easier to take down, since its health is lowered from about 400 to 300. More things can travel through it, like D.va’s bomb or Junkrat’s RIP-Tire. Another is that it can make projectile-based ultimate abilities harder to see coming. I don’t see a lot of D.va bombs wiping out whole teams anymore, since now players know the signs of it coming. That might change with Symmetra’s teleporter. 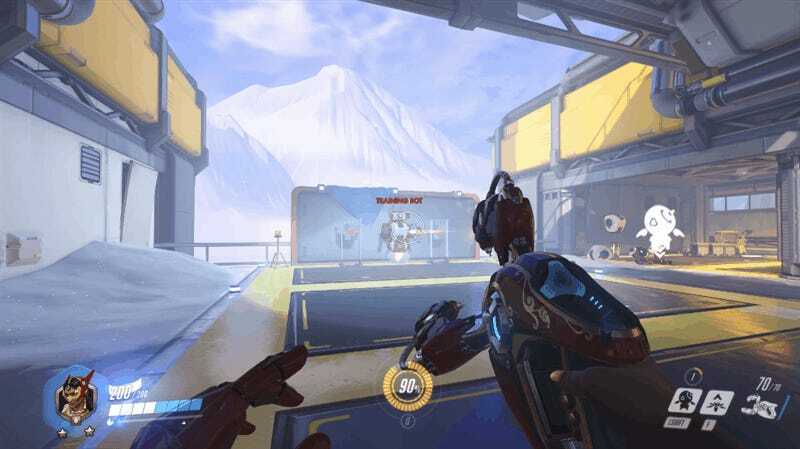 We’ll be seeing more opportunities for heroes with limited mobility to access previously inaccessible parts of maps, too, since they can just teleport there. Heroes like Widowmaker who find relative safety on the high ground might be in trouble. 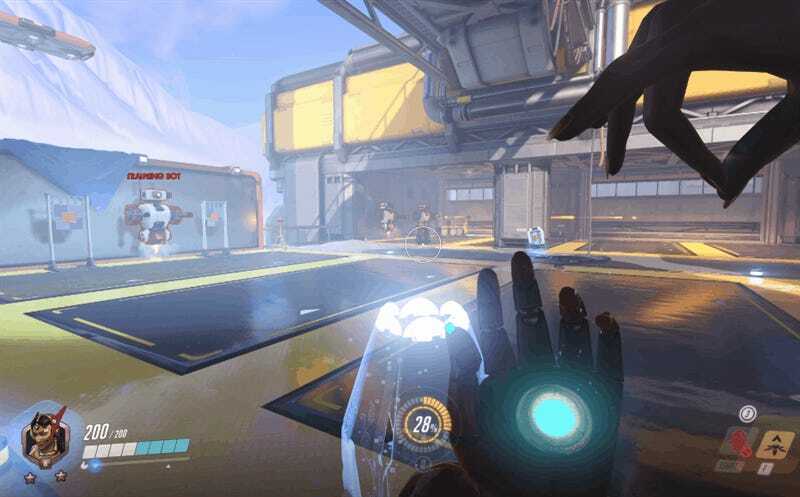 Symmetra’s teleporter is now a normal ability, and correspondingly, Blizzard blew up her normal photon barrier ability into a larger-than-life ultimate attack. It’s a huge, hive-like barrier that can span an entire map. Symmetra can orient it however she chooses, and it has 5,000 health. It will definitely come in handy against huge ultimate abilities like Pharah’s or D.va’s. Symmetra’s rework is really cool, and I’m going to have a lot of fun with it, but I’m still not sure it will be a great toolkit on offense. She does a ton of damage, yes, and her teleport ability can help reposition a team and carve the way for an objective takeover. It will be interesting to see what strategies players come up with to capitalize on her new abilities.